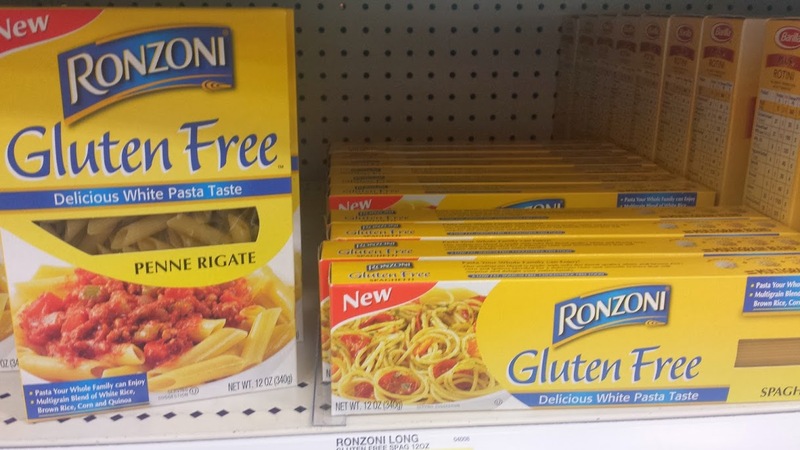 So here goes another big, national brand of pasta making a gluten free version, or versions, since Ronzoni makes both penne and spaghetti gluten free versions. This is a little different, as we see it made with a mix of brown rice, corn, and quinoa flours. We have not tried it yet, but did pick up a box. If you do not follow us on Facebook, get with it! Kelley actually broke this news on Facebook first. She found the Ronzoni at Kroger. We found it here at Target. Next to the Target brand. Great news, great times in gluten free pasta!